Manuel London is associate dean of the College of Business, professor of management, and director of the Center for Human Resource Management at the State University of New York at Stony Brook. He is the author of Maximizing the Value of 360-Degree Feedback (edited with Walter Tornow), Developing Managers, Change Agents, Developing the Training Enterprise, and Career Management and Survival, all from Jossey-Bass. Marilyn London is assistant dean for medical education at the State University of New York at Stony Brook. PART ONE: PREPARING TO LEAD. 1. Identifying Types of Groups and Their Leadership Challenges. 2. 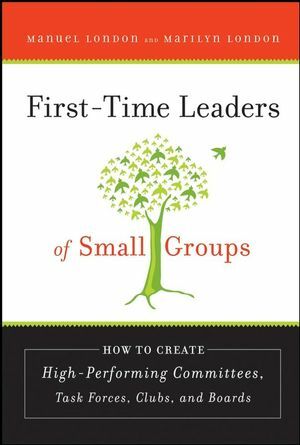 Setting the Groundwork for a High-Performing Group. 3. Planning Your Group’s Development. 4. Determining Your Leadership Style. PART TWO: TAKING THE LEAD. 5. Getting Off to the Right Start. 7. Helping Your Group Learn to Get Better. 8. Assessing Your Group’s Progress and Achievements. Appendix A: Quick Start Guide. Appendix B: Negotiation and Conflict Resolution Strategies. Appendix C:A Primer on Giving and Receiving Feedback .